A much loved teacher and friend died at his home on February 11th. In summer 2016, David's Idiopathic Pulmonary Fibrosis changed from stable to aggressive. Unable to undergo lung transplant surgery, David requested Medical Assistance in Dying (MAID) and passed away pain-free, aware of his surroundings, and with grace. David sends his gratitude to the citizens of Canada who were courageous in advocating for Bill C-14 to pass, and the compassionate doctors and nurse practitioners willing to perform MAID. David particularly thanks his close friends and family who supported, loved, and laughed with him in his final months. As per David's wishes, his body was cremated and his remains will be dispersed following a celebration of life in spring. In lieu of flowers, please donate to The Native Women's Centre of Hamilton. Remain in the light, dear friend. You will be fiercely missed. 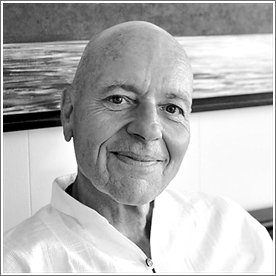 David’s work history included everything from working in the Canadian Broadcasting Corporation’s Northern Service, running his own log hauling business in Northwestern Ontario, to living in a Yoga Ashram in British Columbia. But, he said, it was his experience with the trucks that later made driving the Hamilton Public Library Bookmobile a natural next step—that and his love of a good read. David transformed us and he transformed Hamilton Arts & Letters magazine. HAL Contributing Editor since 2013. Guest Editor for Issue nine.2. – An t-Oileánach by Tomás Ó Criomhthain, final chapter.